Tokyo Motorcycle Show 2019 began a three-day stay at venue Tokyo Big Sight on Friday with manufacturers showcasing new ways for existing fans as well as novices to experience motorcycle riding. According to pre-show figures motorcycle show organizers are expecting to gather over 150 companies and organizations from around the world for the event. Among them, the Japanese wing of American motorcycle manufacturer Harley-Davidson is showcasing 20 bikes at its booth, including the latest models for 2019. “This years theme is “street,” -- more freedom, more choices, new Harley-Davidson. 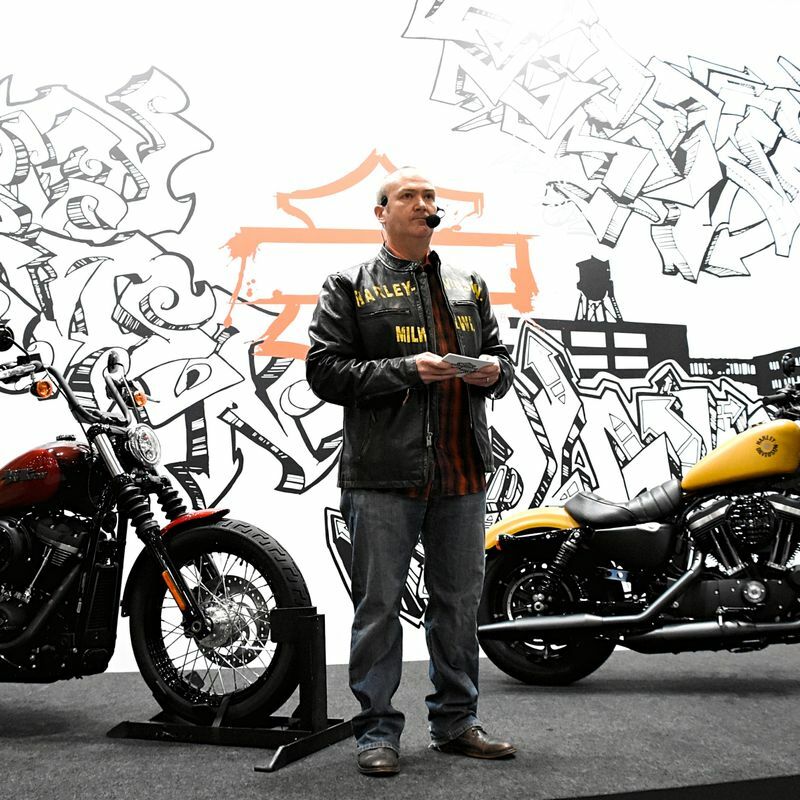 You’ll see a variety of Sportsters and Softails that represent freer ways to enjoy riding and express your own personal freedom,” Harley-Davidson Japan Managing Director Greg Willis told media on Friday morning ahead of the show’s opening to members of the public. The manufacturer is also using its presence at this year’s Tokyo Motorcycle Show to showcase the winners of its Battle of Kings contest -- a custom-bike contest in which Harley-Davidson dealerships in Japan and overseas compete to create bespoke, and road-legal, Harleys. “The challenge is to take one of our Harley-Davidson models and turn it into something unique. Over 200 dealers from over 30 countries, including here in Japan, compete to create bespoke, ground-breaking Harleys using only their imagination, skill, and a budget no greater than half the original cost of the bike,” said Willis. 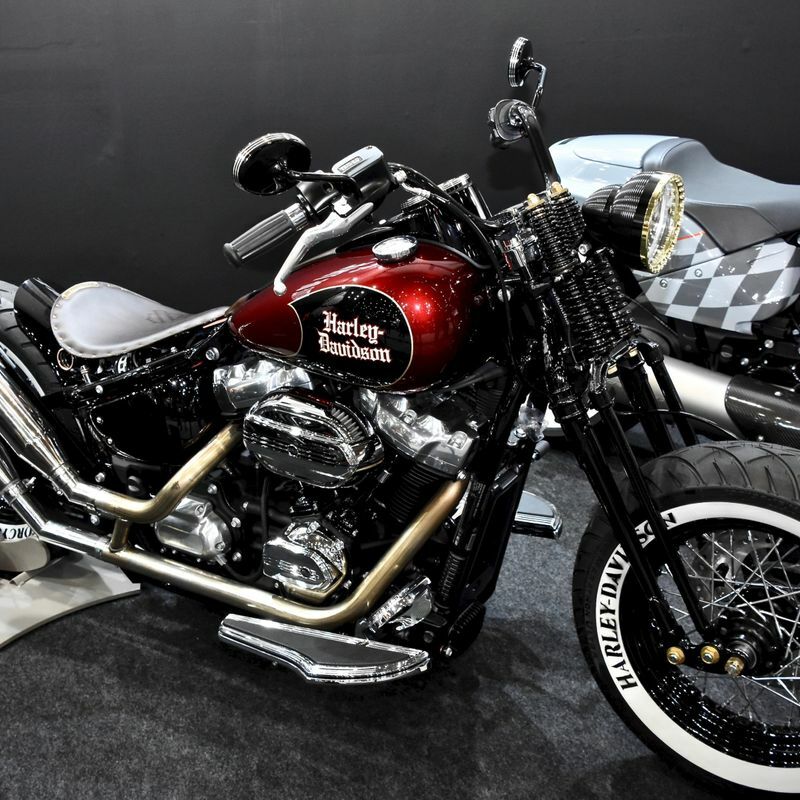 Taking out the Japan crown for a second consecutive year is the Shizuoka dealership with their Harley-Davidson Shizuoka “QUEEN,” inspired by the rock band’s charismatic late frontman Freddie Mercury. BMW’s motorcycle wing BMW Motorrad returns to the Tokyo Motorcycle Show in 2019 on the back of an 8th consecutive record year in terms of global sales. 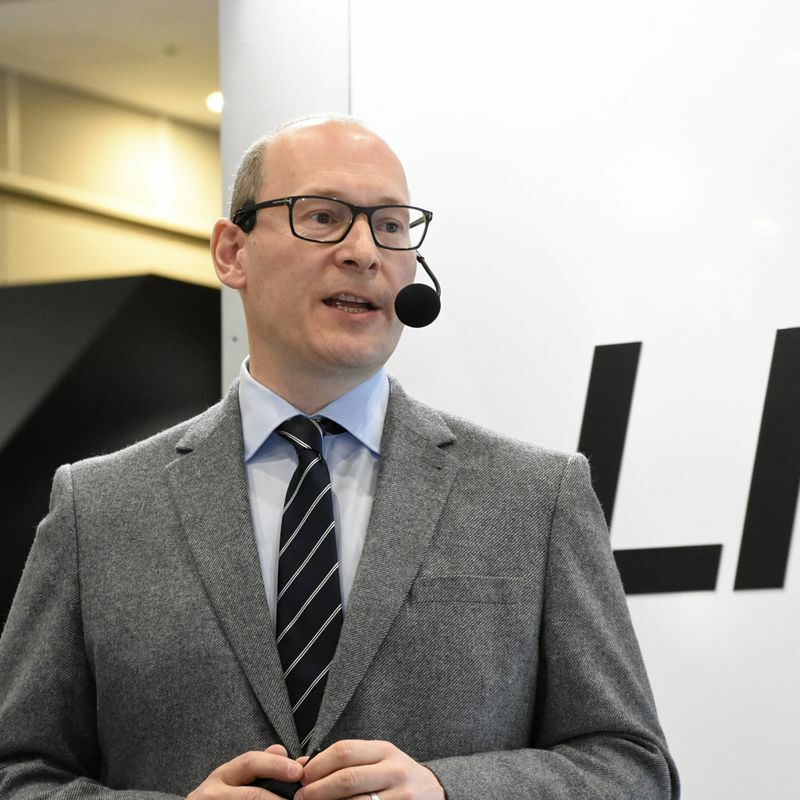 The success translates to 40 percent growth in Japan over the last five years, according to Motorrad Director Lee Nicholls who addressed the media on Friday morning. 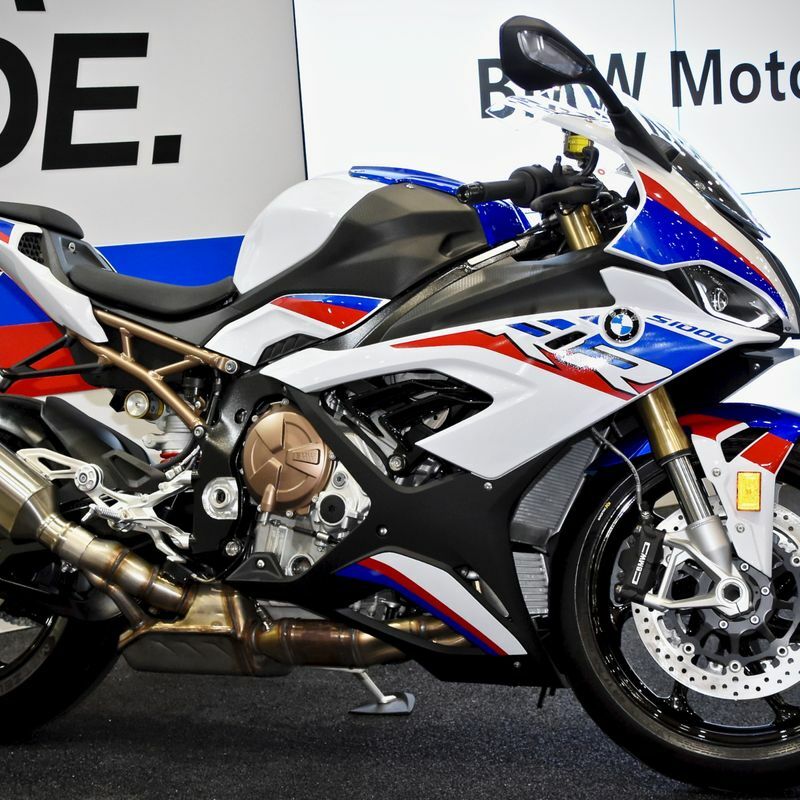 Among the new models the German manufacturer is showcasing at this year’s event is supersport model the S 1000 RR. The new superbike, considered by some to be the easiest bike to ride on the market, is one of the BMW machines available for would-be circuit racers to cut their teeth on at the California Superbike School which continues its partnership with the manufacturer to bring training to circuits in Japan from the spring. Also on Friday morning Honda Motorcycle Japan gave media a first look at prototype business electric vehicle the BENLY ELECTRIC as well as electric motocross bike the CR ELECTRIC. The “Benly” represents the manufacturer’s next step in electric motorcycles following on from 2018’s PCX ELECTRIC which comes with detachable battery the Honda Mobile Power Pack. On March 6, 2019 Honda, in cooperation with SoftBank Corp., launched scooter-rental service MIYAKO Karen through which travelers on Miyako-jima in Okinawa Prefecture can rent the PCX ELECTRIC for more environmentally-friendly trips around the island. Through SoftBank’s mobile communication network data, including distance traveled, speed, and battery power, can be collated in order to analyse the effectiveness of the vehicle’s mobile power pack. 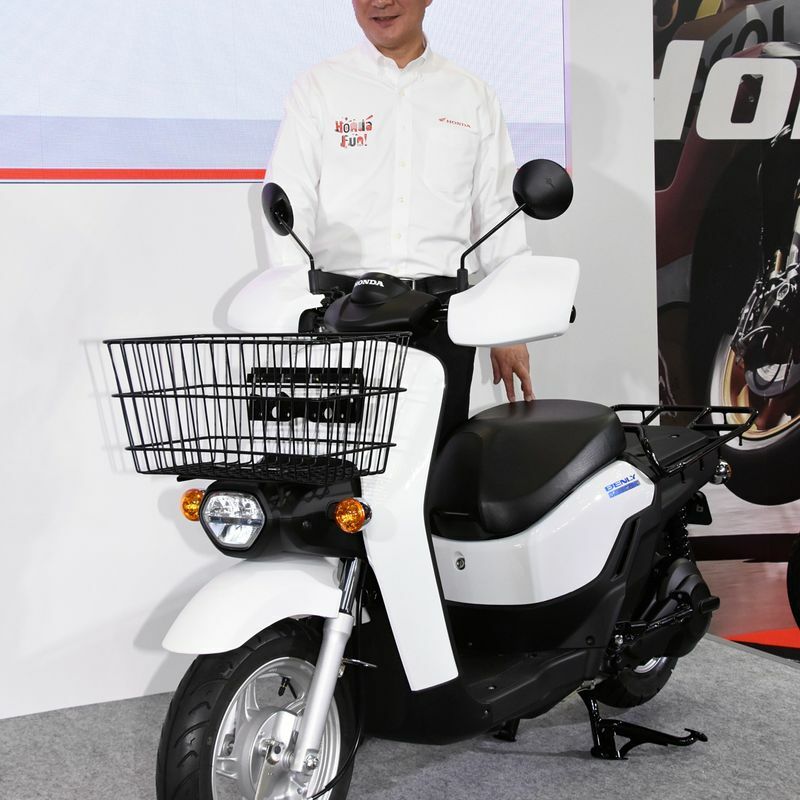 “Looking to the future, our challenge is to work hard to get to grips with the various issues facing electric vehicles as opposed to gasoline engines, and apply this know-how to future commercial electric vehicles,” said Honda Motorcycle Japan President, Chiaki Kato at the unveiling. The 46th Tokyo Motorcycle Show opened to members of the public from the afternoon of Friday March 22 at venue Tokyo Big Sight in the capital’s Koto Ward. The show runs until Sunday March 24.